India (MNN) — Tomorrow is World Water Day, an occasion used by the United Nations and others to raise awareness of the global water crisis. More than two billion people worldwide lack access to safe drinking water, and a further 4.3 billion have no safe sanitation facilities. If a bucket contained all the world’s water, one teacup of that would be freshwater, and just one teaspoon of that would be available for us to use, from lakes, rivers and underwater reservoirs as groundwater. In theory, this is enough to meet all the daily, basic needs of all the people around the world. Yet whether you are able to access that water for drinking, cooking, washing and other daily needs depends on who you are and where you live. Globally, one in nine people do not have clean water close to home. 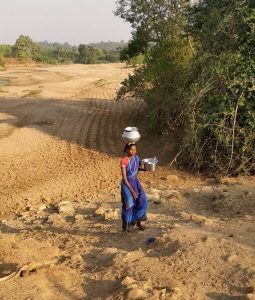 Water scarcity intensifies in rural India, where an estimated one billion people struggle to get water from a shrinking supply. As India Partners’ Donna Glass describes, the water crisis won’t be resolved in one fell swoop. Instead, it’s family by family and village by village. “You can change a family like Mallika,” she suggests. Mallika represents hundreds of thousands – if not millions – of women in rural India. She’s poor, uneducated, and struggles to get by as the sole provider for her child. “She travels by foot, carrying a heavy pot of water, several times a day – often while trying to balance this small child, who’s less than a year old, on her other hip at the same time,” Glass describes. Thankfully, there’s hope for Mallika and others like her. 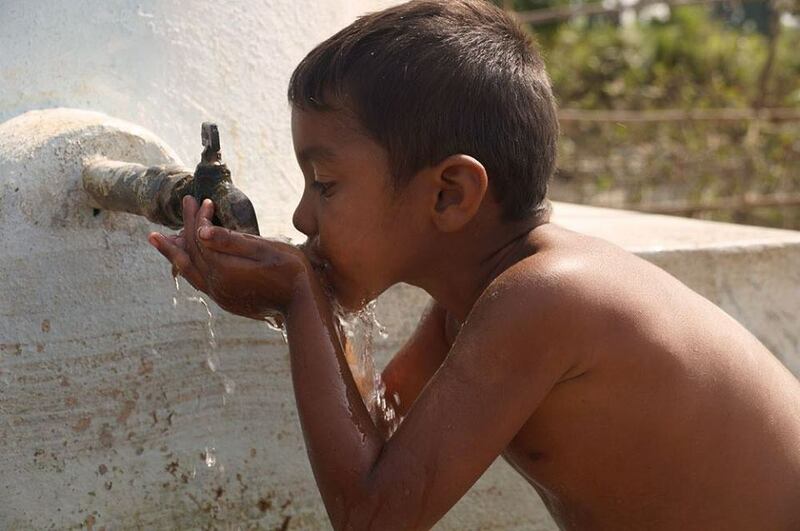 By installing a new well in remote villages, India Partners provides water that’s safe to drink and easy to access. Additionally, India Partners’ WASH (Water, Access, Sanitation and Hygiene) program teaches villagers the importance of hygienic practices. This helps prevent diseases and saves lives. It’s all part of their vision for an India rich in hope, justice, and compassion. Give safe water here. When you help “just one” family, it starts a ripple effect. This is what happened when Rex Harsin encountered India Partners, and asked his coworkers at Next Gear Solutions to help him raise money for clean, safe water. Last year, Harsin and another Next Gear employee, James Barker, organized a “water walk” fundraising event. They raised $16,000, which India Partners used to install wells in two rural villages. Read about the event here. India Partners’ CEO, John Sparks, recently checked up on the wells and says “the villages are growing,” shares Glass. It’s a little late to organize an event this year. However, by contacting India Partners here, you can start laying plans for World Water Day 2020. Header and story images courtesy India Partners.